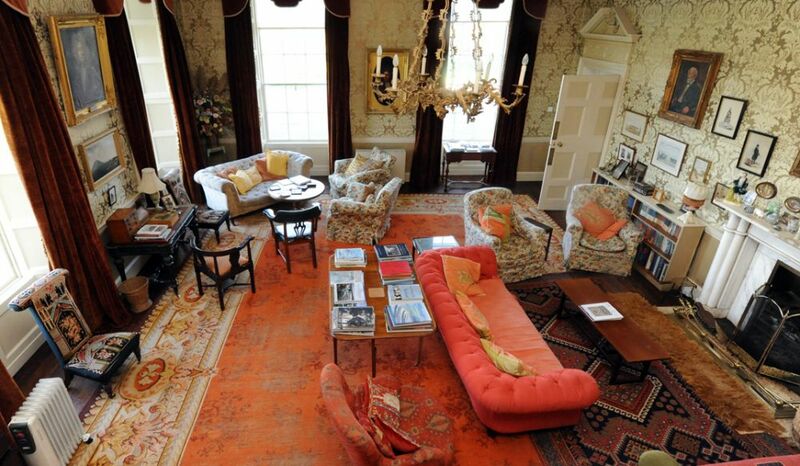 Enniscoe offers elegant Guest House Accommodation in the midst of a vibrant country estate. Located in County Mayo in the West of Ireland, Enniscoe enjoys outstanding views of the spectacular wild and unspoilt landscape this region is renowned for - enjoy its open peaceful spaces and its friendly, welcoming people. 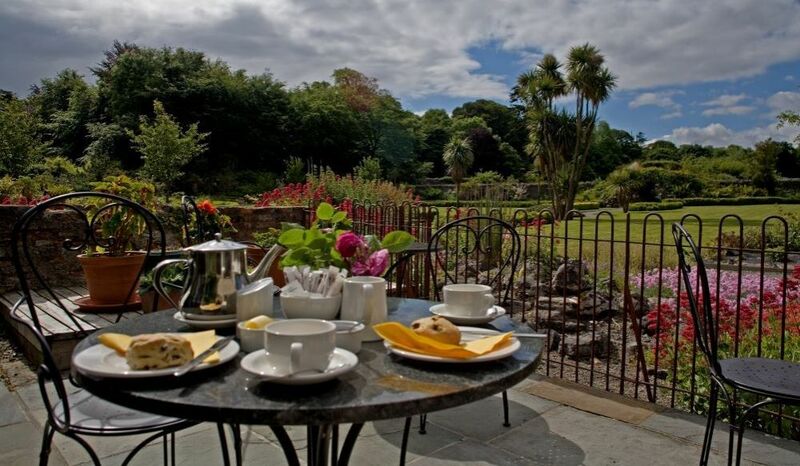 The combination of charming guest accommodation, spectacular scenery and the wide range of country-style outdoor activities make historic Enniscoe an ideal holiday destination at any time of year. 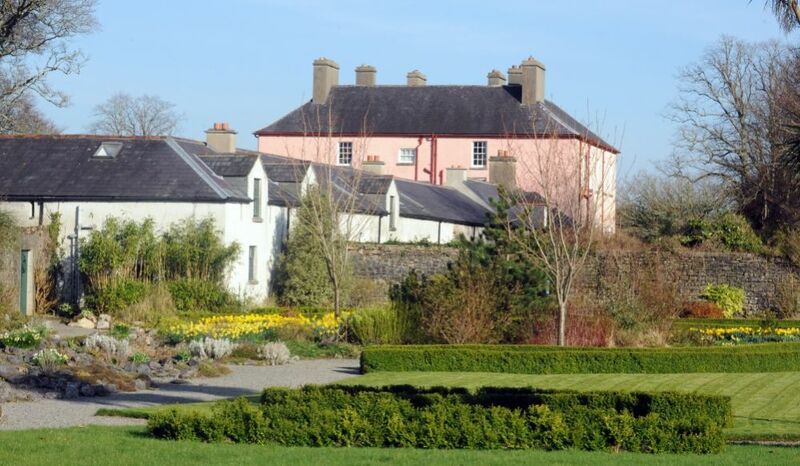 You can choose to wander around the Victorian walled garden and pleasure grounds, or take a boat out and try some fishing on Lough Conn. You will learn more about the local culture and traditions of Mayo when visiting the museum and the family history centre on the estate. Enniscoe is also an ideal base from which to go golfing, hiking, cycling and horse riding, or to discover the rich heritage of the region. If you are interested in discovering more about what Enniscoe can offer you then please scroll through this web site for further information. 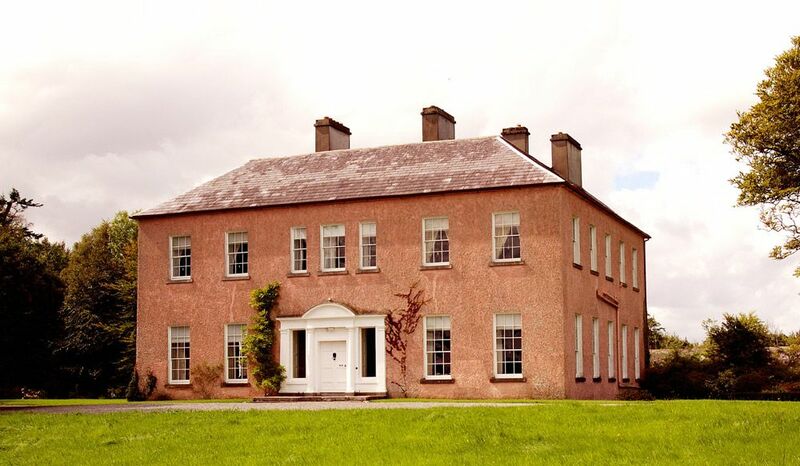 Hidden among the woods at the foot of Mount Nephin is Enniscoe House, “the last Great House of North Mayo”. Enter through the white gates, go past the pink gate lodge and follow the long winding avenue through extensive parkland, to arrive at the classical Georgian family home of Susan and DJ Kellett, where stunning views of Lough Conn greet you. 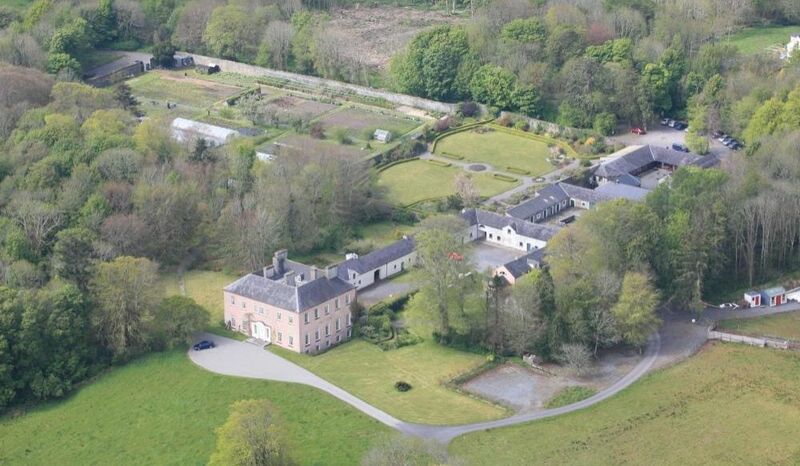 The Enniscoe Estate has been in the family since the 1650’s and the house dates from the 1790’s. Susan and her son Dj are delighted to share their house and grounds with their guests. 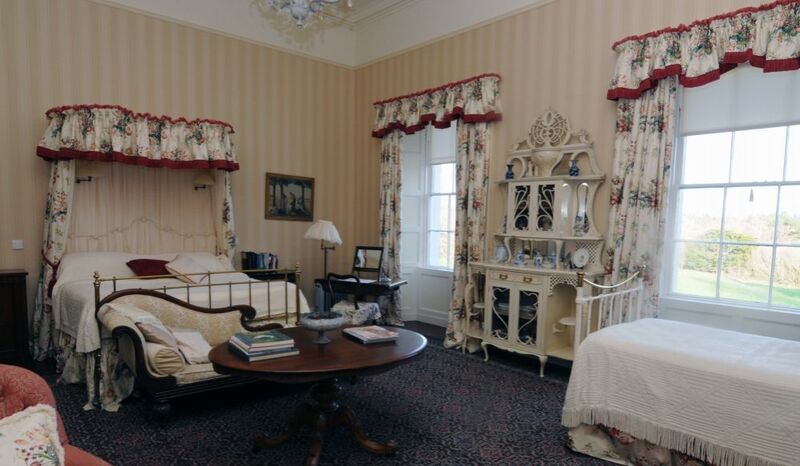 Enniscoe is your opportunity to experience life in a heritage house. With its wonderful over-sized entrance doorway drawing you in to a home of elegant reception rooms and fine bedrooms, each with its own unique story, Enniscoe represents the best of Ireland, from the hospitality of its owners, relaxing appeal and excellent food, to its home away from home atmosphere. 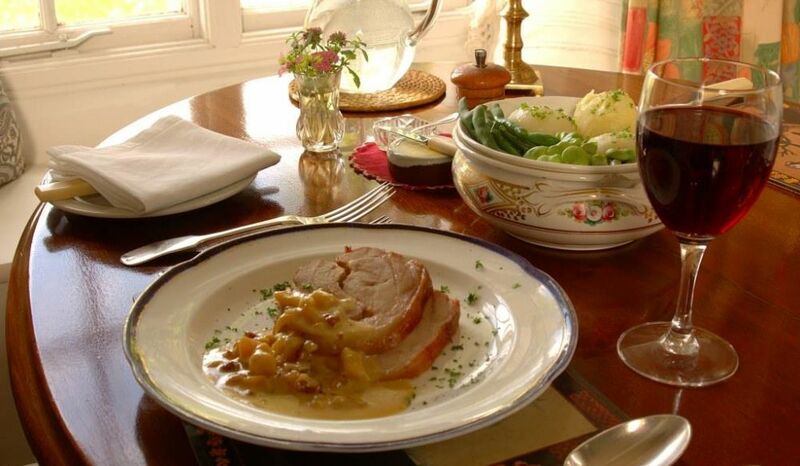 Great food freshly prepared and sourced from the richly stocked organic market garden in the grounds of the house are a feature of this experience. Susan and Dj work closely with local suppliers to source additional produce as required, ensuring you have the very best of the season on your dinner plate. Outside the house are pastures and woodlands with lakeside walks, pleasure grounds and a carefully restored Victorian garden. Visit the North Mayo Heritage Centre to trace your family history or to browse in the museum, go fishing for brown trout on Lough Conn, or just relax and switch off from the outside world.